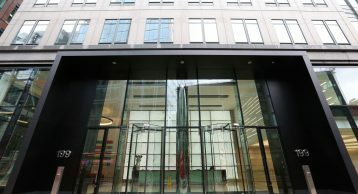 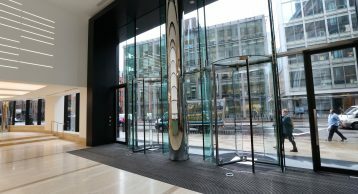 199 Bishopsgate is a 146,000 sq ft Grade A office building with typical floors of 14,460 sq ft. 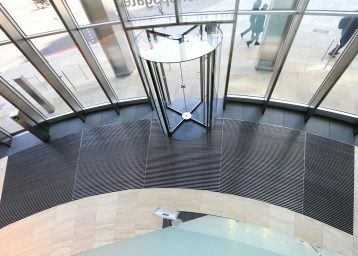 Designed by John Robertson Architects, British Land and Blackstone launched the building in September 2012 after a major refurbishment of the original, SOM design. 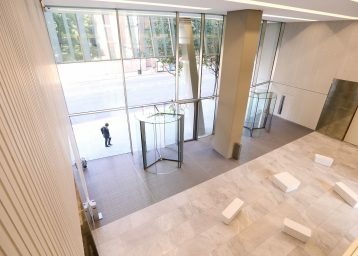 The building occupies a key site on the corner of Bishopsgate and Primrose Street, and has achieved BREEAM ‘Excellent’ rating. 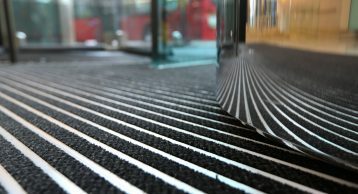 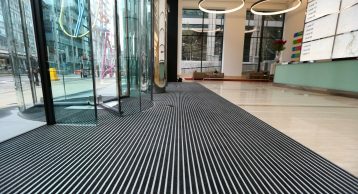 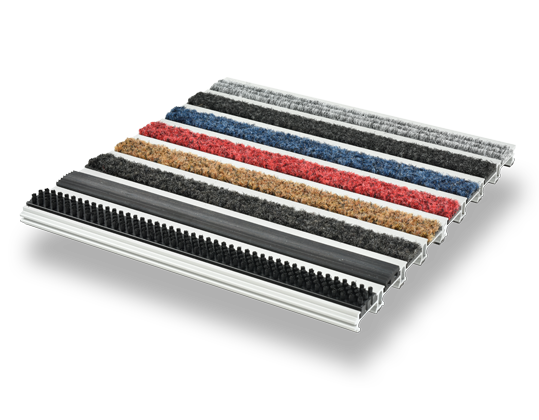 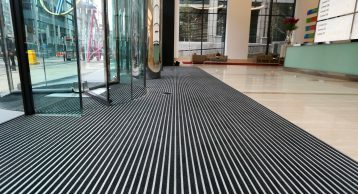 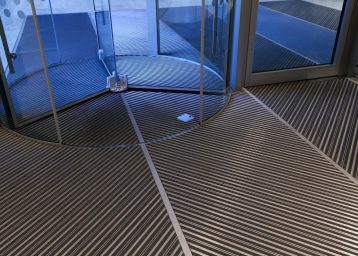 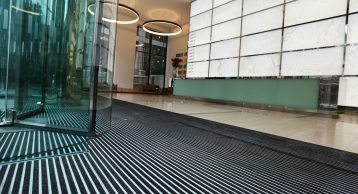 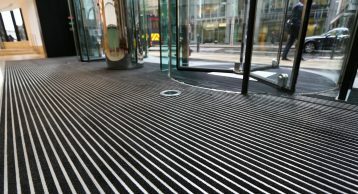 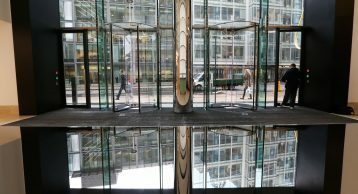 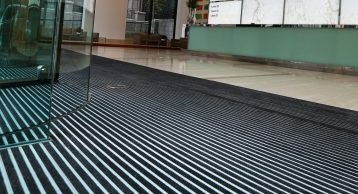 The INTRAform Heavy Duty Entrance Matting was installed to the revolving doors and matwell area beyond, with an excellent visual effect, complementing the whole reception area.